If your home is one of the thousands throughout the Lancaster area with old, outdated windows, replacing them with newer energy-efficient windows is a wise investment. Not only will you save a considerable amount on your energy bills each year, especially in the winter months, but you’ll make buyers happy and recoup the cost whenever it’s time to sell. While replacing the windows in your home is a relatively straightforward process, improper installation can lead to a multitude of problems, such as water damage and loss of energy efficiency. Given the warranty stipulations of many window manufacturers as well, hiring a professional window replacement contractor is a must. Here are some helpful tips to find the best replacement windows and the right home remodeling contractor for the job. The key to hiring the best replacement windows contractor is to know your replacement window options and decide ahead of time which ones would work best for your home. Some window contractors only install certain types of windows, so deciding on the right company may require a little research and due diligence. Reflective Properties – Windows with reflective glass can deflect up to 90 percent of the sun’s rays, making them an excellent option for anyone looking to maximize their home’s energy efficiency in the summer months. R-Factor – R-factors refer to the insulating performance of a material. When shopping for replacement windows, you should choose windows with a high R-factor. Windows with a high R-factor and double or triple insulation will significantly increase your home’s energy-efficiency. Frame Material – Although much of your home’s heat is lost through the glass of its windows, the frame material can also play a role in energy efficiency. Aluminum is durable and inexpensive, but has poor insulating properties. Wood is energy-efficient, but costs more and requires maintenance. Vinyl window frames are a popular compromise, but they’re prone to cracking in our cold PA winters. Pultruded fiberglass is an excellent option that combines strength, durability, and energy efficiency. It is also virtually maintenance-free. While it is not inexpensive it does provide a great value. Knowing what you want before you contact a contractor will allow you to ask the right questions and save you a ton of money and headaches in the end. Some major window manufacturers require a window replacement contractor to be certified or specially trained to install their products. These types of certifications or endorsements from a manufacturer are usually a good signal that the installers know what they’re doing. Beyond certifications, it’s also important to check references and online reviews. Any reputable home remodeling contractor should also offer a warranty on their work. After all, replacing your windows is a costly investment and you need to protect it. 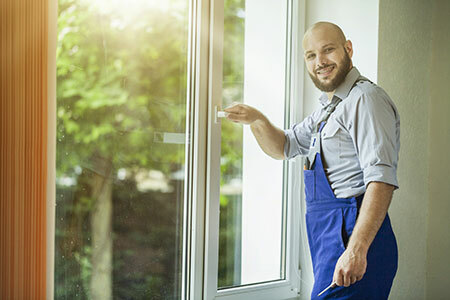 A reputable window installer should be able to tell you all of the details of the job and how long the replacement process will take, so make sure to ask questions. To avoid boarded up holes in your walls for days on end, insist on immediately installing the new windows after taking out the old ones. Failing to do so and ask the right questions could result in more money, lost time, and unsuitable living conditions. When choosing the best contractor for the installation of your home’s new windows, make sure to get several bids. Each bid should be as specific as possible and at a minimum include the window brand, window model, and how many are needed. Installation details should also be included, and the cost of materials and labor should be explained. Having these details included in the bid will allow you to pick the best contractor at the best price and enjoy years of worry-free use. You should check to make sure your replacement windows are covered by a warranty. If so, you’ll save yourself thousands of dollars if you encounter a problem with your windows or the workmanship of their installation a year or two down the road. Most windows come with a 10-year warranty, and any reputable contractor should offer a workmanship warranty covering their work for at least two years. Since windows often fail or break due to improper installation, a workmanship warranty covering the installation is a must. Replacing the windows in your Lancaster home will save you hundreds each year in heating and cooling costs. However, choosing a professional window contractor with experience, skill, and integrity can be easier said than done. By following these tips, you’ll be able to do just that and keep your home cool in the summer and warm in the winter for years to come!